Police officers are searching an area around the Leith home of a woman who went missing more than a week ago. 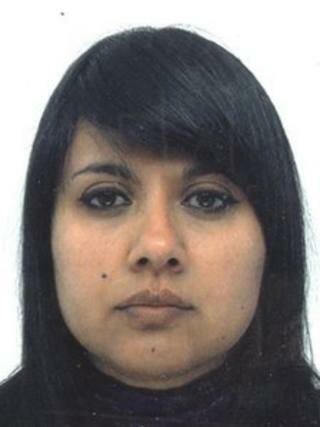 Khalsoam Ali, known as Kal, is last known to have been at her home in Dryden Street on 7 March. However, the 40-year-old has failed to make contact with friends or family since then. She is Asian, 5ft 4ins tall, of medium build, with straight dark brown hair with a fringe, a large freckle on her right cheek and brown eyes. Ch Insp Andy McLaughlin, of Lothian and Borders Police, said: "Kal has not been seen or heard from in over a week now and we are anxious to trace her as soon as possible. "Anyone who knows her whereabouts and can assist officers in locating her is asked to come forward immediately. "Similarly, I would urge Kal to make contact with police, family or friends as soon as possible to let us know that she is safe and well."